Jeff Walters’ career began in 1978 as he raced go-karts in Boulder and Longmont. 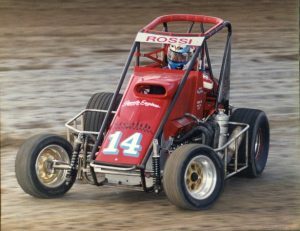 He graduated to full-sized race cars while competing in the Bomber/Pure Stock class–first at Lakeside Speedway, then at Colorado National Speedway in 1981. As his career progressed, Jeff competed on both dirt and paved oval tracks in five states, racing in the Pure Stock, Sportsman, late model, and most prominently, IMCA modified divisions. 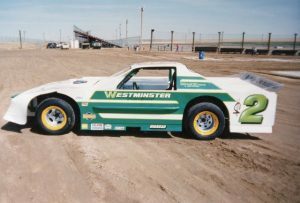 His accomplishments include eight track championships, five of which were in the modified division, and the national IMCA Rookie of the Year for the Rocky Mountain Region in 1993. He became the first driver to win track championships in two different IMCA competition regions within two different time zones, with titles at both I-76 Speedway in Fort Morgan, Colorado and Elmwood Park Speedway in Norton, Kansas. In addition to the championships he has earned, Jeff’s racing seasons have been marked with recognition for most quick times, most trophy dashes, most main event wins, as well as best appearing car, Sportsman of the Year, and Perfect Attendance awards given at multiple tracks and by numerous racing associations. He was even dubbed the “Winningest Driver, Ever” at I-76 Speedway as testament to his winning ways. Jeff Walters enjoyed 36 years of active competition that saw him claim victory in over 300 races. When he arrived at any track, his fellow competitors knew their work was cut out for them. These days, Jeff competes on an occasional basis in IMCA modified races of his choosing, and has restored a modified race car driven in years past by Denver area driver Harry McCool for participation in Vintage racing events. For his lifelong dedication and hard-charging ways, Jeff was proudly welcomed into the Colorado Motorsports Hall of Fame, Class of 2018. Jim Opperman’s racing career began in 1957 at Englewood Speedway, where he competed in the modified division in a car sponsored by The Competitor’s Company, a business Jim owned with his brother Ray. In 1974 he won his first main event and finished the season as the track champion. 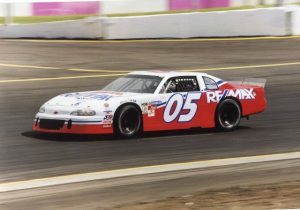 He moved to the late model division and formed a successful two-car team nicknamed “Papa Opp’s Chevies”, with Jim driving one car, the other driven by his son, Michael. 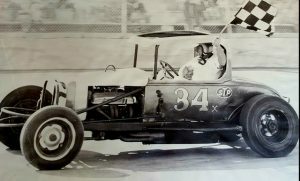 Jim retired from driving with the closing of Englewood Speedway in 1979, but continued as the owner of a team that competed in events around the country, representing Colorado well winning by over 100 events. Wanting to once again be part of racing at a local track, Jim bought controlling interest in Colorado National Speedway in 1980, and transformed the 1/2 mile dirt configuration to a 3/8 mile asphalt track, building CNS into one of the premier short tracks in the country. Regional pavement track teams were ecstatic, and the transformative efforts Jim and his colleagues invested in the track resulted in a first class racing facility that endures to this day. the growth and improvement of the sport he loved. For his accomplishments and long standing support of the Colorado Racing community during his 40 year career, Jim Opperman was welcomed into the Colorado Motorsports Hall of Fame, Class of 2018. In 1975, after a few high school friends who were involved with motorcycle racing talked him into giving it a try, Ricky Orlando started his racing career in South Florida at the Moroso Raceway in West Palm Beach. He moved to Colorado the next year, and began competing locally in the MRA. In 1983, Ricky moved to the pro level, racing in the AMA Superbike series, and his first attempt at the prestigious Daytona 200 resulted in a seventh place finish. He raced in those early years alongside some of the greatest riders of the eighties–Kenny Roberts, who in the view of many put motorcycle roadracing on the map; Wayne Rainy, Wes Cooley, Freddy Spencer, Fred Merkel all became the competition. Over a long and accomplished career, Ricky’s most memorable races include the 8 hour World Endurance Championship in Suzuka, Japan, where he finished seventh. Among his best finishes in the US were third place in the 1987 Laguna Seca 600 Supersport race, and third place in a Formula 1 AMA national at Mid-Ohio in 1984. He also finished sixth in the 2004 Daytona 200, and held the mileage record for that race during the AMA pro national series. His career led him to races across the U.S, as well as England, Japan and Macau, with his favorite track–by far–being Barber Motorsports Park in Birmingham, Alabama. Ricky also continued to compete in the Daytona 200, and in 2011, he broke the all-time record for laps completed. Ricky continues to compete on the regional level in the MRA. He won State Championships in 2001, 2003, 2007, and 2009, along with approximately 75 class championships. He cites a 2001 Suzuki GSXR 1000, on which he won the MRA State Championship, as one of his favorite rides, and is quick to credit those who have helped him along the way. “Over the years I’ve had a few different tuners. The first year I went pro, Dennis Zickrick built my bike. As I returned to doing more Colorado races, the Cycles of Boulder crew supported me. James Minert also played a big part in helping. Since 1995 Marvin Rosencrans and been with me, Pete Brandauer came onboard a few years ago, and Rocky Mountain Kawasaki, Arai Helmets, EBC Brakes, and Hindle Exhaust have all been along for the ride with their generous support”. 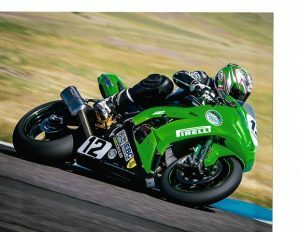 In recognition of his long and accomplished motorcycle racing career, Ricky Orlando was inducted into the Colorado Motorsports Hall of Fame in 2018. Rob “Robby” Williams grew up on a farm in Keenesberg, Colorado, surrounded by mechanical devices and people who knew how to work on them. At age 12, his grandfather gave him a twin-engine go-kart; at age 14 he purchased a Harley Davidson Super 10 motorcycle, from which he graduated to the Harley Sportster that became his first drag racing vehicle. He ordered the car and took delivery, but only drove it a few times at the track before he flattened the cam. 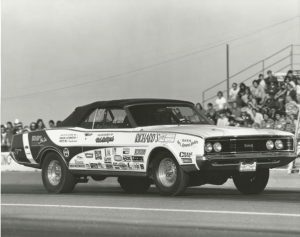 The Coronet wasn’t fast enough, so in 1968, he bought a dragster chassis from Dan Widener in Colorado Springs and dropped in the 426 Hemi to run as an A-fuel dragster. Next came the blower from “Doc” Shaddock’s old car, and Rob was in an AA-top fuel dragster. Racing with the support of his younger brother Rex and high school friends Kenny Bollers and Duane Koons, Rob had enough success to order a brand new chassis from builder Mark Williams. His next purchase was Don Hardy’s Barracuda, beautifully repainted by Ron Avers as the Williams Brothers funny car. “Bit by bit, there was less left of the original 426 Hemi,” Rob remembers, “until finally it was just the block and the heads. I was running 100% nitro methane in those days, but only because I didn’t have a hydrometer to calculate a mixture. I was just running fuel straight out of the barrel.” The ‘Cuda became a fixture at match races and points events, and took Rob back to the NHRA World Finals before being replaced by Ed Bowen’s Vega in 1974, that had Rob’s name alone on the side. It was getting harder to keep a crew together, and to stay in racing Rob found himself sometimes driving for other car owners or working as part of the crew on someone else’s car. 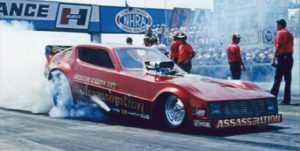 One of the men he crewed for was Roger Guzman, who had become legendary in the region for his series of funny cars named Assassination. When Ron Kershal asked Roger how to make his Monza “Super Rat” funny car more successful, Roger’s recommendations were to replace the Chevy engine with a Dodge, and replace the driver with Rob Williams. The new combination was a winner, and by mid-season 1977, the Super Rat/Assassination had clinched the Division 5 championship. For the next season, Guzman unveiled the first of the series of beautiful Dodge cars that would burn themselves into the memories of race fans from Indianapolis to Pomona. Build by Pat Foster and Jim Hume side by side with Don Prudhomme’s car, Assassination became nearly unstoppable in NHRA’s Division 5. Young men such as Steve McClean, Ron Roybal, Alex Vigil, and Bobby Etter volunteered their time to be the crew. Rob and Roger would trailer the car to tracks throughout the region, driving back to Denver in time for work at IBM on Monday. In the following years, the duo won more NHRA Division 5 championships, along with numerous awards for Best Appearing Crew, Best Appearing Car, Best Engineered Car, and Guzman was named NHRA’s “Person of the Year” in 1979. Top competitors coming to Denver had to worry about more than just the altitude. The Assassination team of Guzman and Williams became known as spoilers as they went up against the likes of Bernstein,Prudhomme, McEwan, Force and Beadle. In 1981, Rob drove to a new funny car record of 247.94mph, and no one who saw the 1980 Mile High Nationals final run of Raymond Beadle in the Blue Max (taking low ET of the meet of 6.19 at 234 mph to beat Williams’ 6.21-233.76) has ever forgotten it. Rob, Roger and Assassination had become such favorites, the crowd actually booed Beadle for two minutes after his win. There were hard times, too, of course. Blown engines, fires, and crashes cost money. It was hard to compete against well-financed teams with multiple engines and bodies who could have cars shipped to every event. After a devastating crash near the end of 1983, Guzman and Williams parted ways. Rob’s commitment to racing was too great to simply let it go, and he continued to compete in snow-mobiles and go-karts, and he was active in the IKAC for many years. He worked with Mike Sandberg of Valley Kart Engineering, where he designed and machined parts, built engines and put together winning karting packages for clients. His own competitive activities eventually gave way to administration of the kart club and meets, as well as the design and establishment of a new track that is still running today. As pleased as he was with his own considerable achievements in karting, Rob was more proud of being the tuner in his daughter Brenda’s drive to a championship. Although he never drag raced again, Rob was active in the inauguration of Junior Drag Racing in Colorado, building engines and mentoring young drivers. These days, Rob’s time is still occupied by racing, but now the venue is the Bonneville Salt Flats and the vehicles are motorcycles. Rob has himself ridden at more than 175 mph, and he has built motorcycles that have taken multiple national and international records, all of them running on (what else?) nitro methane. With the help of his friend Randy Miller, his wife (and fellow rider and record-holder) Julianna, and brother Rex Williams, Rob now heads team Big Bad Nitro Daddy. The mystique of nitro methane sets Rob’s racing efforts apart from most of his racing associates at the Salt Flats. Looking back, Rob sees the years with Roger Guzman and Assassination as the pinnacle of his career. He was ranked as Fifth and Ninth best driver in the world by the NHRA in 1977 and 1980, but he was always an integral part of the team, and did whatever needed to be done in addition to driving to contribute to their effort. “Roger was a perfectionist,” Rob says, “and I always felt safe in his cars. They were the best tuned, the best set up cars at the track. He never scrimped or cut corners. Other teams would go through Assassination’s trash to get parts to use on their cars. Rob Williams outstanding career in drag racing has earned him a place in the Colorado Motorsports Hall of Fame, class of 2018. Cars and racing were a big part of Ron Berry’s early life, as his dad sponsored a race car at an oval track in Montrose, Colorado. Ron started driving at age 7, and built his first motor at age 13. 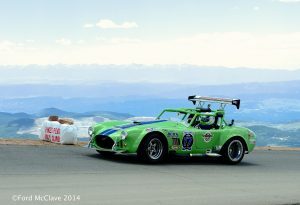 He began racing in the 1950’s, when he first drove a V-8/60 midget at Hotchkiss Fairgrounds, then moved to a 1939 Ford Stock Car to compete on tracks on the western slope of Colorado. 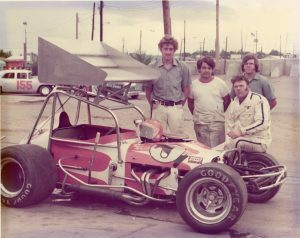 Ron’s racing career accelerated with a move to Grand Junction in 1965, and he became a regular at Cactus Park Speedway in Grand Junction. He also raced and held track records at speedways in Delta and Montrose, Colorado, as well as Moab, Utah. Ron started Drag Racing in 1966, and for most of his active career he ran a weekly schedule of stock car racing on Saturday and drag racing on Sunday, adding Hillclimb to the mix for two years in the early 1970’s. On the drag racing side, he enjoyed much success driving a Hemi Charger, and was undefeated in the Super Stock Auto class for several years. A career highlight was made when he went up against Ford factory driver Ed Terry in a match race and won 3 of 5 passes. On the oval track side, Ron drove to 99 main event wins and track championships at Cactus Park Speedway in Grand Junction in 1969 and 1970. Ron’s driving career came to a close when his son, Jeep Berry, began his own dirt-track late model career and Ron assumed the role of crew chief. These days, Ron is still in the pits when Jeep is behind the wheel, and is there to lend a hand with his grandson Dakota Berry’s blossoming career in the late models as well. Ron Berry was known as a racer who was a hard charger, but raced clean and beat some well-known competitors on the track. The Colorado Motorsports Hall of Fame is proud to include Ron in the Class of 2018! Walt Pickard’s motorsports career involved racing at southern Colorado oval tracks, where he compiled 112 main event wins over 17 years of competition. Born in 1932, Walt grew up with a love of all sports, playing on teams in football, baseball, and wrestling that won several championships. His racing career began in 1957, when he drove a race car on a dare from friends Bob Hull and Wade Watts. 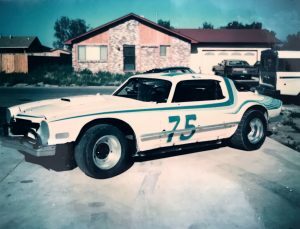 From that point until 1972, Walt was a competitor in the modified division, winning four track championships at Pueblo Speedway, and setting a track record that still stands by winning ten events in one night at Beacon Hill Speedway. While Walt drove for Wade Watts, Charlie Shepherd, Charlie Simpson, and Otis Roberts in the early years of his career, Walt enjoyed a close friendship with Roger Nelson and drove his red #34 coupe for the bulk of his competitive days. The majority of wins and championships in Walt’s record were wonin partnership with Roger and the Nelson family.Highlights from his early racing days include competing against Bobby and Al Unser at the Colorado State Fairgrounds, and qualifying fifth at the Hutchinson Nationals in Kansas while driving the only six-cylinder powered car against 120 V-8 powered entries. Walt Pickard enjoyed success at many levels in his career as a driver, track owner, and race promoter. He is a richly deserving inductee into the Colorado Motorsports Hall of Fame, Class of 2018.